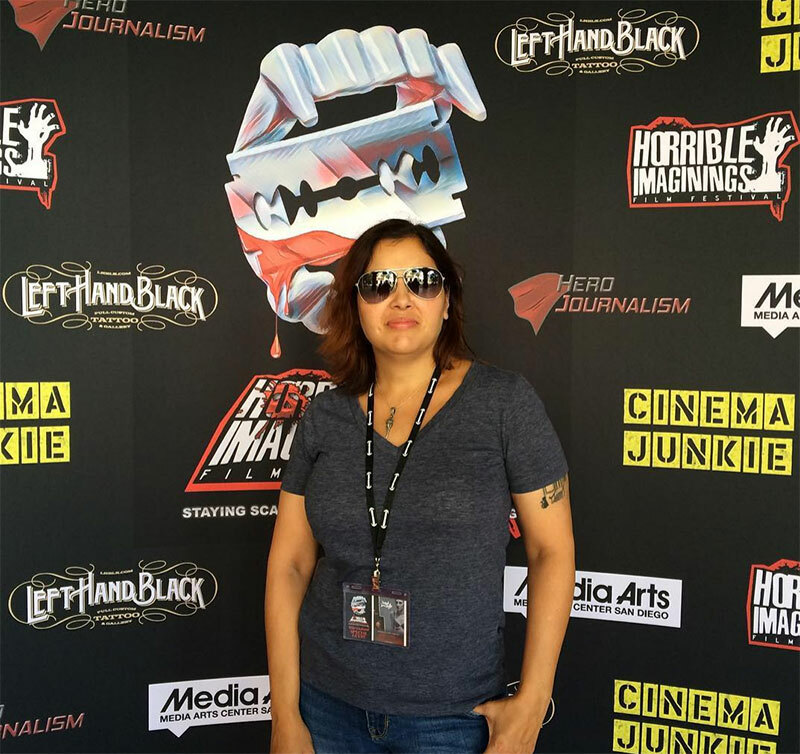 In honor of the Women in Horror Month, I had to talk to Kim Garland about her short films. 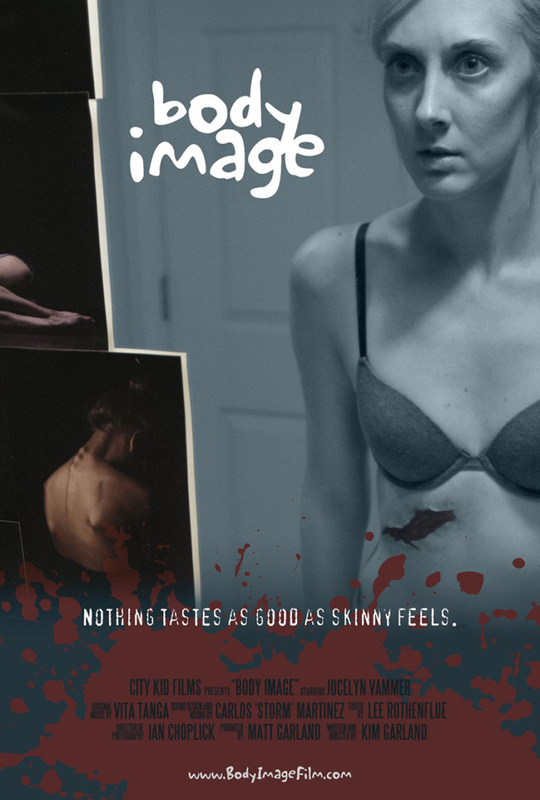 I recently watched her short “Body Image” at the New York City Horror Film Festival, and I was blown away. The effects were so incredibly well done, and the message of the film is one that is so important in today’s look-at-me society. Lou Simon: “Body Image” was so good and gruesome! What is it about and what you were trying to accomplish with it? Kim Garland: “Body Image” is a three-minute graphic horror film about a woman who is tormented by her compulsion to stay thin. The film is meant to create more of a visceral experience than to tell a plot-driven story. Plot-wise, it takes place during a private moment in the life of a woman struggling with an eating disorder. But the film’s goal is to show her emotional state, not her literal one, and how her eating disorder is ravaging both her psyche and her body. The film is purposely gory to drive home the anguish of her struggle. LS: You have an impressive collection of four shorts. Is there something that they have in common? What inspired them? 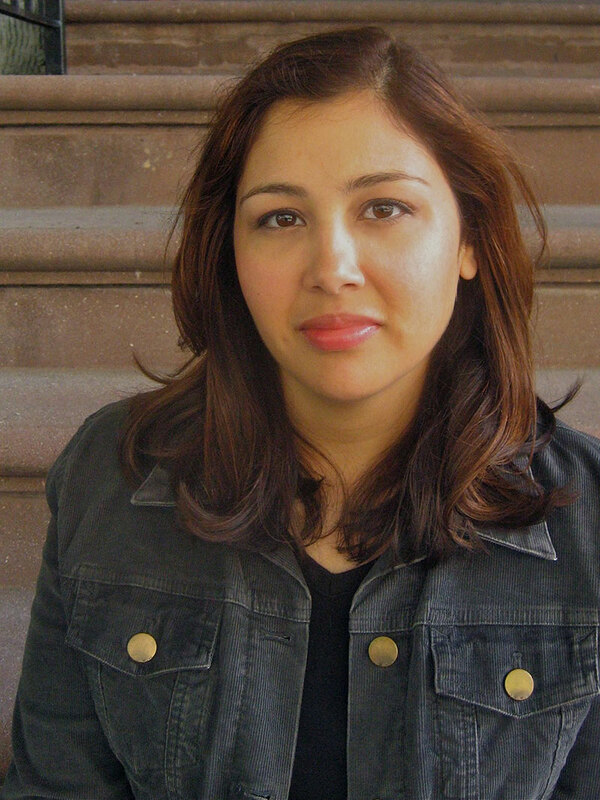 KG: The first three shorts I wrote and directed are part of a trilogy and they are all set in the same underground world in NYC where people can resurrect from the dead. I grew up in a funeral home family in NYC and I’ve found much of my work has been influenced by my fascination with the line that separates life from death. That trilogy is currently being developed into a series called Final Death and you can watch the short films now for free online. “Body Image” was a departure from the first three films. I wanted to try something different after having made three complex, world-building films. After brainstorming ideas, we came on the concept for “Body Image” and found a way to tell that story with one location, one actor, and no dialogue. It was great getting to focus on non-verbal storytelling. LS: At what age were you first drawn to horror and was there something specific you watched or read that inspired it? KG: The first real scare I remember was when I saw the remake of Invasion of the Body Snatchers at a super young age. It scared me shitless! I grew up in a busy neighborhood in NYC and for a while I was honestly terrified that people in the streets would point at me, open their mouths wide, and make that horrible body snatchers sound. And then (like seemingly every middle schooler), once I started reading Stephen King, that was certainly a springboard into horror for me. I read Anne Rice for a while, lots of Poe, Richard Matheson, classic horror, and my fair share of EC comics. I also loved horror and sci-fi anthology TV series as a kid like The Twilight Zone, Night Gallery, Tales from the Crypt, and Tales from the Darkside. LS: The odds seem to be stacked against women filmmakers. What drives you to try to defy the odds and continue making films, despite the additional stress that comes with that choice? KG: What drives me are the same things that probably drive other filmmakers — an obsession with telling stories and the desire to tell them in a visual way. I’m of course aware of the stats, and they’re definitely disheartening. I think part of what helps me to push beyond those gloomy numbers is that breaking into this industry as a screenwriter and a director is a herculean effort no matter who you are. It’s insanely competitive for everyone, so I try to focus on the overall task of breaking in, which is difficult enough, and not allow the stats to make it seem impossible. LS: What do you think needs to happen for women to get the respect they deserve as filmmakers? KG: We need equality at every stage so we can compete on the same playing field. All directors need opportunities to work in order to master their craft and find their unique voices. Since there hasn’t historically been a natural inclination toward hiring female directors, then there needs to be a concerted effort to do so now if we want to see any real change. 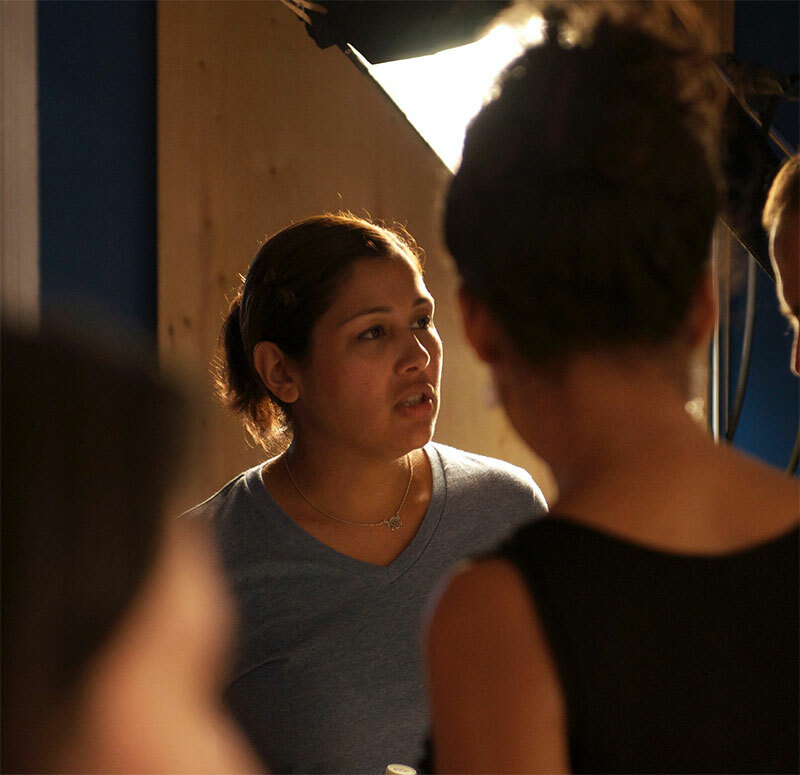 Female directors need more opportunities to work, from first jobs on set to studio directing gigs, and every stage in between. Just as men have used making ample work to lead to making exceptional work, women need those same opportunities to fully thrive as filmmakers. LS: What’s next for Kim Garland? KG: I moved from NYC to Los Angeles six months ago, and it’s been a wonderful experience. I’ve had so much fun getting to know a new city and enjoying life in Southern California. Now that I’m starting to feel settled in, I’m excited to explore what opportunities are here for making work. I’m currently developing two new projects, a feature film and a TV series. The feature is a ghost story titled Intangible, and the series is called Final Death and is based on the supernatural world we introduced in my Resurrection Trilogy. LS: Where can the readers find you and your work? 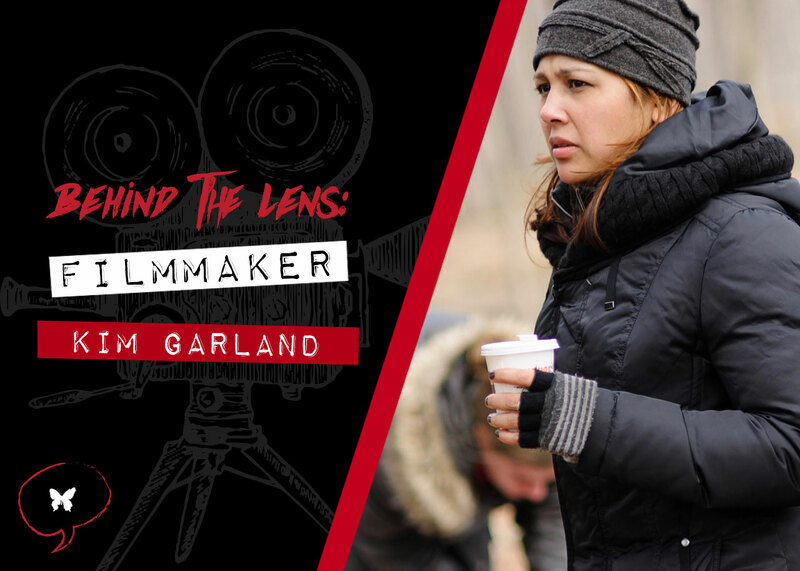 KG: You can watch my short films, trailers, demo reel, etc, at my website www.kgarland.com and you can find me on Twitter, Instagram & Facebook.